Dennis James Correll Sr., 81 of Charlestown, IN and formerly of Imperial Beach, CA passed away on Friday, September 7, 2018 at is Home. Dennis was born on July 29, 1937 in Rice Lake, Wisconsin the son of Albert Dewey and Cecilia Campbell Correll. Dennis retired from the United States Navy after serving 24 years as Chief and during his service was on the prime recovery vessel to pick up Apollo 11 in 1969. He also worked in civil service at North Island in San Diego, CA. 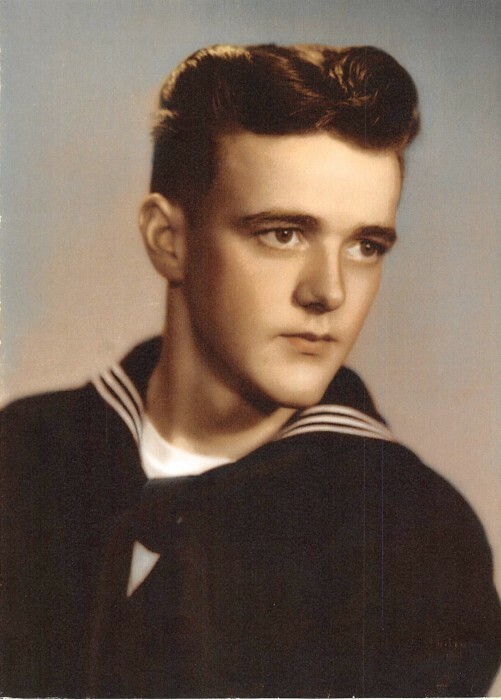 Dennis was a member of the Fleet Reserves in Imperial Beach, CA, enjoyed walking, bowling and had a passion for golf. Survivors include his wife, Mary Parker Correll; daughter, Dorisann Jennings(Duane) of Charlestown; son Dennis James Correll Jr.(Jill) of Columbia, OH; sisters, Marlis Rongitsch and Yvonne Holthaus both of Minnesota; grandchildren, Lex, Cecilia, Gracynn, Erika and Kennady. Dennis was preceded in death by his parents, brother, Duane Correll and sister, Shirley O’Hara. Expressions of sympathy in memory of Dennis may take from of donations to the American Cancer Society or Amedisys Hospice. Memorial services will be held on Saturday, September 15, 2018 at 10:00 AM at Pleasant Ridge Baptist Church in Charlestown. Grayson Funeral Home in Charlestown is entrusted with arrangements.